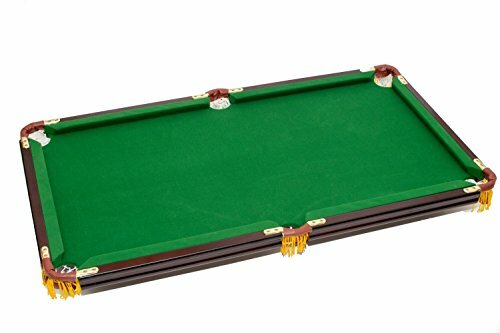 Bello Games New York, Deluxe Folding Pool Table Extra Large 44"
by bello games new york, inc. Extra Large Pool Table 44" X 24" X 30". 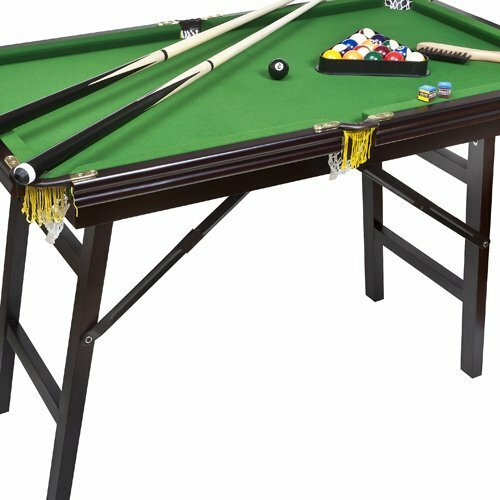 While this is a mini version of a professional table, it will not be the same when playing meaning it is a scaled down version and the speed cushions are not 100% the same as on a regulation table, but it does the job for a folding pool table. 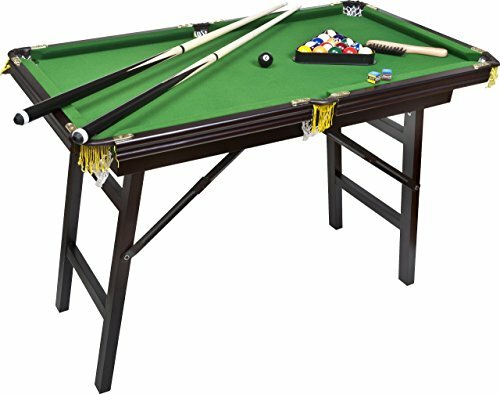 When the legs are completely folded under the table the height of the pool table is 4 1/2" perfect for storing under a bed or standing in a closet. NO ASSEMBLY REQUIRED, OPENS LIKE A CARD TABLE.